Franciszek Hynek was born on November 1, 1897 in Kraków. He became interested in aviation already in high school. In 1914 at the age of 17 he joined Polish Legions. 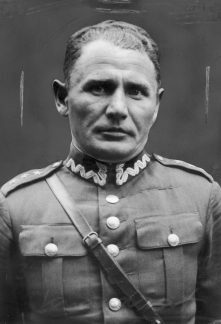 His service for Polish balloon forces started in 1922. His first victory in a balloon competition came in 1928, when together with Zbigniew Burzyński in Lwów balloon he won the National Balloon Competition. In the following years he participated in national and international competitions gaining more and more experience. In 1932 he participated for the first time, together with Zbigniew Burzyński, in the prestigious Gordon-Bennett Cup. 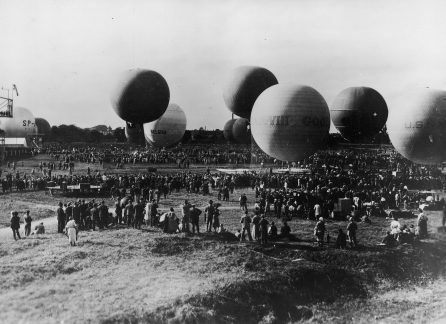 A year later the competition took place in Chicago and there Franciszek Hynek, together with Zbigniew Burzyński in the “Kościuszko” balloon covered the greatest distance (1.361 kilometres) and landed in Canada. The flight took 40 hours. In 1934 Gordon-Bennett Cup was held in Warsaw. Despite the fact that the event was attended by the best balloon pilots in the world, it was two Polish teams that fought for victory: Franciszek Hynek and Władysław Pomaski in “Kościuszko” balloon and Zbigniew Burzyński together with Jan Zakrzewski in “Warszawa II” balloon. The team of Franciszek Hynek won the competition covering a distance of 1.333 kilometres in over 44 hours. In 1956 he started working on reactivation of balloon sports in post-war Poland. It was on his initiative that balloon sport sections were created and that the first balloons were built and flown. On September 7, 1958 Franciszek Hynek embarked on a solitary flight in “Poznań” balloon. He took off from Gniezno and died in a crash on September 8 in Szatarpy in the Kaszuby region. It was his 80th flight. 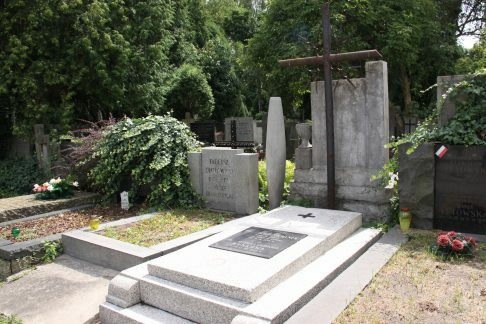 Colleagues and people knowing the subject thought that Franciszek Hynek had a sixth sense for flying and his intuition hardly ever failed him. He was regarded as an outstanding competitor. He was admired by the whole environment of aviators. Still, he remained an exceptionally modest person. One of the streets in Warsaw’s district of Włochy bears his name. Gordon Bennett Cup in Basel. Balloons' take-off watched by a crowd of spectators. September 1932. 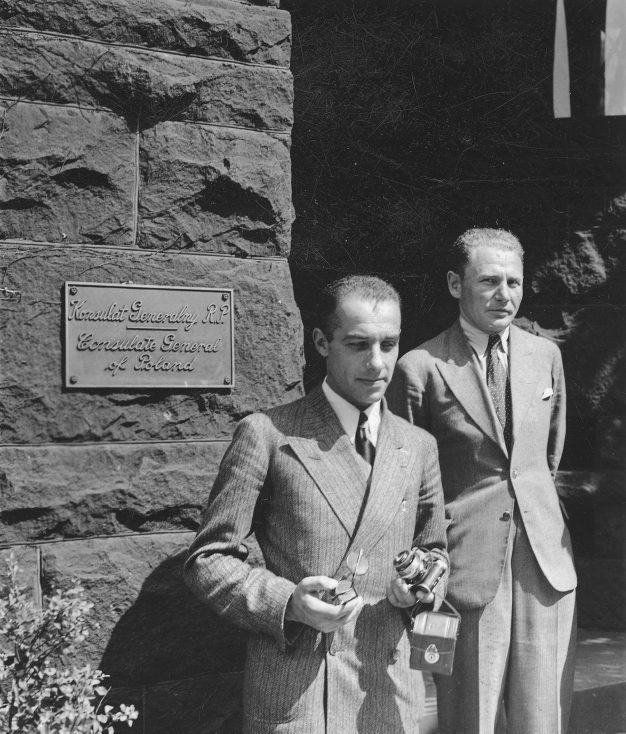 Balloon pilots: lieutenant Zbigniew Burzyński and captain Franciszek Hynek (on the right) in the front of the General Consulate of the Republic of Poland. August 1933. Gordon Bennett Cup in Warsaw. 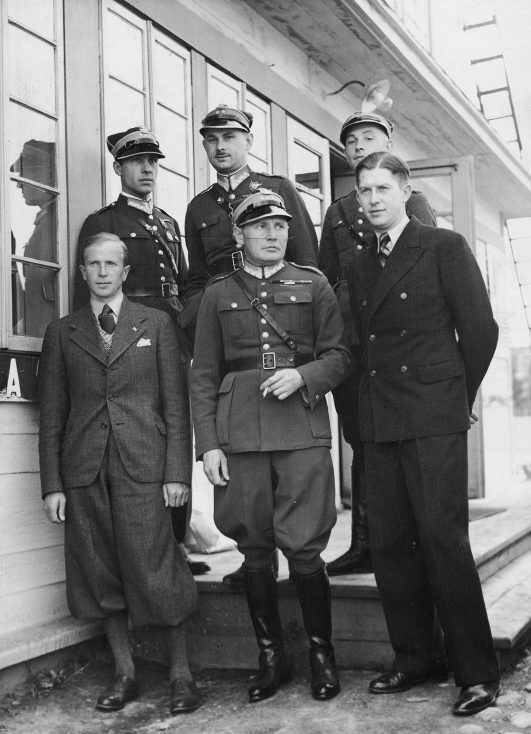 Polish balloon pilots: captain Znigniew Burzyński (upper row, first from the left), lieutenant Władysław Pomaski (upper row, in the middle), lieutenant Władysław Wysocki (upper row, first from the right), lieutenant Ignacy Wawszczak (lower row, on the left), captain Franciszek Hynek (lower row in the middle), captain Antoni Janusz (lower row, dressed in a suit). September 1935.